If you would rather not reach for drugs when pain strikes, these home remedies for headaches can help ease your discomfort. Muscle tension in our neck and shoulder areas is often a root cause of headaches. A massage can ease the tension... and the headache pain. When a painful headache threatens to disrupt our day, our first instinct often is to take some Tylenol or Advil for relief. But if you suffer from chronic headaches, or if you’re prone to negative reactions to the main ingredients in some of these OTC pain relievers, you might want to consider home remedies for headaches. A 2016 study highlights non-drug methods of relieving pain, including headache pain. “For many Americans who suffer from chronic pain, medications may not completely relieve pain and can produce unwanted side effects,” observes study leader Richard Nahin, PhD, lead epidemiologist at the National Center for Complementary and Integrative Health, in the Sept. 1, 2016 issue of Mayo Clinic Proceedings. The study can provide additional details—click here—but in the meantime, if you suffer from headaches and don’t want to rely on pain-relieving drugs, try the following home remedies for headaches. This is probably the easiest of the home remedies for headaches. And if you don’t have a proper ice pack, you can use a bag of frozen corn or peas wrapped in a towel. Lie down with the ice pack placed on your forehead, or allow it to rest on the back of your neck and your shoulders. One of the easiest headache home remedies is meditation, which can help you focus your attention away from pain and stressful events. Meditation can reduce the intensity of pain and help people cope with painful conditions in order to maintain a normal lifestyle. In Professor Nahin’s study review, relaxation techniques such as meditation were found to be effective for severe headaches and migraines. You can meditate by sitting in a quiet room with your eyes closed, regulating your breathing, and being conscious of the sound of your breath as you inhale and exhale. Many people report that a chant such as “ohm” is helpful to drain away tension. The root cause of frequent headaches is often muscle tension in the neck and shoulders. Massage is one of the best home remedies for headaches you can try to ease this tightness; it also should relax you so that stress doesn’t make your headache worse. (Registered users at University Health News should visit the post “How Massage Can Ease Your Aches and Pains, and Relieve Stress.”) In one study by The Society of Behavioral Medicine in 2006, people who suffered from regular migraines reported fewer headaches when they had a 45-minute massage each week. To try a self-treatment, reach around to massage your shoulder muscles with a circular motion, and do some gentle stretching by dipping your head towards each shoulder until you feel a slight pull on the muscles at the side of your neck. Then try and circle your shoulders for further tension relief. Also, try massaging your temples—another widely recommended home remedy option for headaches. It’s easy to add this form of complementary medicine to your list of home remedies for headaches: Aromatherapy simply involves inhaling or applying essential oils from certain plants. Keep in mind that essential oils are very concentrated, and should be diluted in a carrier oil (such as sweet almond oil) if you intend to use them topically. You can purchase via online sellers a wide variety of aromatherapy oils for headaches, from lavender and chamomile to eucalyptus, rosemary, and thyme. If you are at all unsure, consult a qualified aromatherapist; you can find one via the Aromatherapy Registration Council (www.aromatherapycouncil.org). Another simple means for ridding yourself of headache pain: ginger tea. Certain herbs—including basil, feverfew, and butterbur—can be used to treat headaches, but it’s best to consult a registered herbalist to make sure you use the herbs correctly. You can find an herbalist via the American Herbalists guild; visit www.americanherbalistsguild.com. This option works because ginger reduces inflammation in the blood vessels of the head. 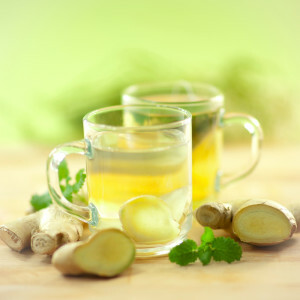 Make your ginger tea by bringing a small amount of sliced ginger root to a boil in two cups of water. Simmer for about 30 minutes and allow to cool to warm before drinking. If ginger isn’t to your taste, chamomile tea is another option to try. aches and pains, add, chamomile tea, chronic headaches, chronic pain, corn, feverfew, frequent headaches, ginger, headache home remedies, headache pain, headaches, headaches and migraines, health, health news, herbalist, home remedies, home remedies for, home remedies for headaches, home remedy, inflammation, integrative, integrative health, lavender, massage, meditation, migraines, muscle, muscle tension, pain, pain relievers, pains, relaxation techniques, relieve pain, remedies for headaches, report, severe headaches, side effects, stress, thyme, university health news.